Home > FAQs > Global > About Direct Energy > About Direct Energy > Why should I choose Direct Energy? Every day across North America, more than 6 million residential, business and services customers turn to Direct Energy for their electricity and natural gas, home energy services, energy efficient solutions and more. 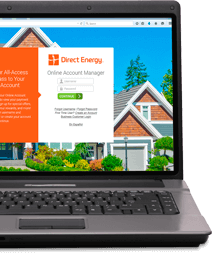 Direct Energy is one of the largest competitive retailer of energy and related services in North America. At Direct Energy, we source, generate, trade, service and supply energy to meet your current and future energy needs.